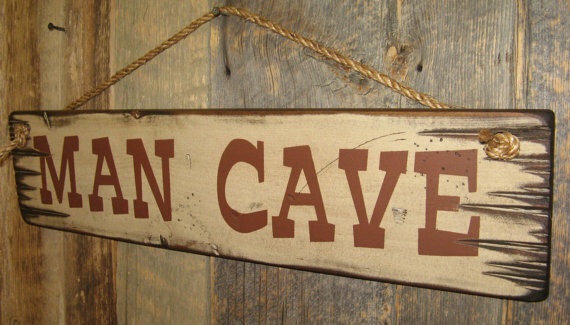 "MAN CAVE" give this to the "Man" in your life for his special room, den, garage or office. 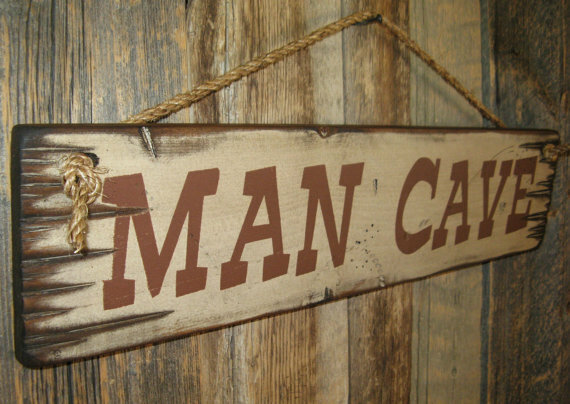 This white background sign measures 5.5x24 and comes with the grass rope hanger for easy hanging! Handcrafted with pride!